Wood-feeding insects are sometimes known to use microbial symbionts present in their guts to help in digestion and nutrient mobilization. However, nothing is known about how such insects cope with wood and resin. The large pine weevil, Hylobius abietis, is a serious pest on the bark of young conifer trees in northern Europe that must deal with both wood fiber and terpene-containing resin as major parts of its diet. This project will explore the metabolic fate of resin terpenes in these insects and the role of gut bacteria in processing terpenes and wood at the molecular, protein and metabolite levels. The project combines entomological, microbiological, chemical and molecular biology methods to better understand the lifestyle of one fascinating, long-lived species of insect. Collaboration between Research Group on Insect Symbiosis (Dr. Martin Kaltenpoth) and Department of Biochemistry (Dr. Axel Schmidt). 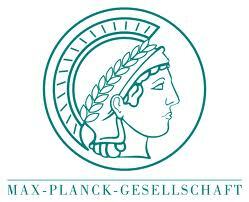 Demikianlah informasi PhD fellowship in Chemical Ecology at International Max Planck Research School kami sampaikan, semoga bermanfaat.